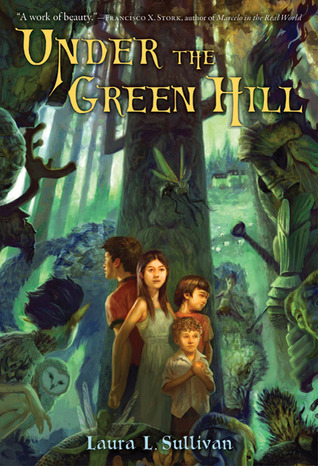 "Every seventh summer, a fairy war is fought on the Green Hill—to the death—with a human champion." Rowan, Meg, Priscilla, and their little brother, James, are off to the English countryside to stay with relatives at the Rookery. The children are looking forward to exploring the ancient mansion and perhaps discovering a hidden secret or two. Little do they know this is a seventh summer. Every seventh summer, a fairy war is fought on the Green Hill—to the death—with a human champion. And Rowan has been chosen as one of the champions. Meg is desperate to save her brother. But the Midsummer War is far more than a battle between mythic creatures: Everything that lives depends on it. How can Meg choose between family and the fate of the very land itself? Looks good. I hadn't heard of it.